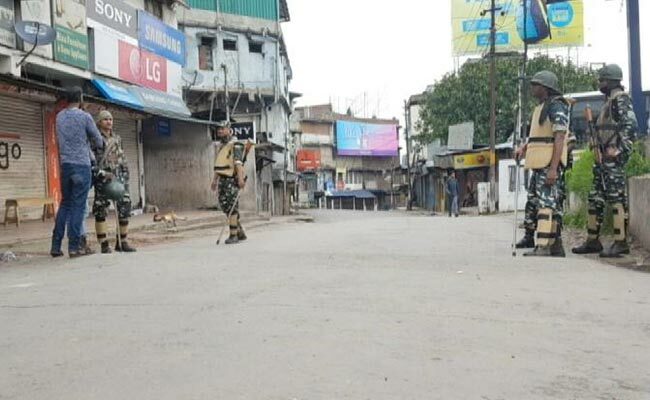 Curfew has been relaxed for 19 hours from Saturday with effect from 5 am to 12 midnight in areas falling under Lumdiengjri Police Station and areas in the whole of Shillong city. The District Magistrate of East Khasi Hills District has issued an order on Friday in this regard. The areas include Jaïaw, Mawkhar, Umsohsun, Riatsamthiah, Wahingdoh, Mission, Mawprem, Lumdiengjri, Lamavilla, Qualapatty, Wahthapbru, Sunny Hill, Cantonment, Mawlong Hat including Cantonment Beat House Areas (excluding localities beyond Umshyrpi bridge). However the curfew is promulgated again from 12 midnight to 5 am until further orders. Moreover, the relaxation of curfew in all areas falling under Shillong agglomeration will remain unchanged for 19 hours that is from 5 am to 12 midnight, and the curfew is promulgated again with effect from 12 midnight to 5 am until further orders. The relaxation, means that only night curfew will be in force for 5 hours in areas under Lumdiengjri police station as well as in the whole of Shillong city. The overall situation has improved in Shillong including Motphran area, after witnessing a violent protest from May 31 to June 5. The violent protest started after an incident at Them ïew Mawlong on May 31 morning where exchange of words took place between a bus driver and a lady residing at the commercial area over the parking of a bus. The incident led to a violent agitation at Motphran and Mawkhar area as mob pelted stones at security personnel forcing them to burst tear gas shells to disperse the agitated mob. The protesters demanded shifting of settlers from Them ïew Mawlong. The high-level committee constituted by the Meghalaya government is examining all records and documents, and would recommend feasible solution solve to the pending issue. The committee is being headed by deputy chief minister, Prestone Tynsong and the committee was asked to submit its recommendations at the earliest.